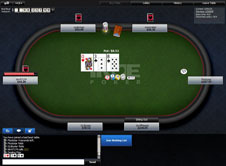 True Poker was one of the first online poker rooms available to players and was the first 3D poker room offered online. Established all the way back in 2002, True Poker has always been a small to medium sized player throughout online poker’s golden age. Originally, True Poker used propriety software and their own independent network of players. However, in recent years less US players were playing online and multiple networks were forced to collect their player bases. 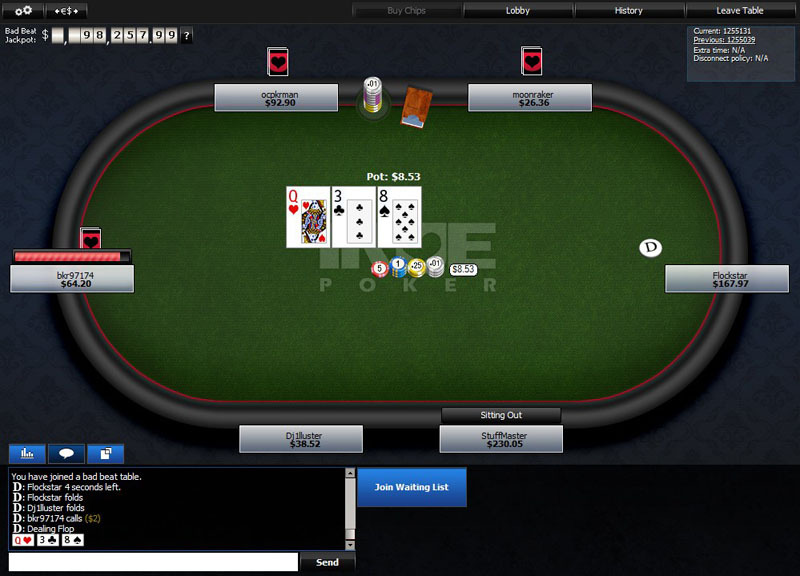 True Poker was forced to ditch their 3D software and had to change networks. True Poker soon joined the Yahatay Poker Network, now known as the Winning Poker Network. True Poker uses Winning Poker Network software which is licensed and regulated by the Kahnawake Gaming Commission out of Canada. True Poker’s office operations are based out of Costa Rica. Their parent company is TPRCR Development, SRL. True Poker lost their .com in a May 2011 indictment and domain seizure by the US Department of Justice. This measure was purely cosmetic as True’s operations were not affected. True Poker simply began using their .eu and .ag domains as their primary sites of operations. True Poker has been around over a decade, on multiple networks and has always paid players in a timely fashion. They have an incredible track record in regards to payouts and customer service. Their CEO often posted on 2+2 Forum, under the “True Poker CEO” avatar. The former True CEO was a favorite by 2+2 users as he was witty and extremely knowledgeable about the industry. After the network change, ownership went in a different direction. True Poker takes security extremely seriously. They offer a “live chat” option just for security issues. In addition, they have installed new, unique systems to prevent fraud and collusion. They also have a top of the line random number generator, which guarantees random outcomes. – Fresh look, crisp graphics. – Smooth, polished software fluid action. – Resizable tables, easily organized with one click. – Sizeable improvements from previous software version. – Pokertracker and Holdemmanager support. – Inability to adjust the size of hand re-player. – No auto top up function when playing cash games. – No filters for cash or tournament lobbies. – Bet sliders could be easier to use. – Note taking does not seem to always save. True Poker is open to players worldwide and offers many different deposit options. Instadebit: Available for Canadian citizens only. No transaction fees. Pay directly from your bank account. This is the easiest and most secure deposit method for Canadian citizens. E-wallets – Neteller, Click2Pay: Secure e-wallets available to non-US citizens. Most used methods for depositing money online. Fast, fully secure and can be funded by credit card, bank wire, and bank draft. Accounts are funded instantly upon deposit, and there are no fees for depositing. Person to Person Transfers: These are Western Union or MoneyGram transfers which are sent to a contact at True Poker and credited as a deposit. These will usually take a few hours to process, and fees can be quite expensive. Luckily, True Poker will cover deposit fees if a player deposits $300 or more. Credit Cards: Players can use their debit or credit cards to deposit into True Poker. Easiest method for American players, no fees, and deposits are instant. Bank Draft or Check: Secure deposit method via players’ personal bank accounts. Both methods come with a 10% deposit bonus and normally take 3-5 business days to process. True Poker offers players one free check withdrawal every 30 days. The Winning Poker Network and True Poker offer US players the fastest withdrawals in the US facing online poker industry. E-wallets: Not available for US players. Payouts to most e-wallets will take 48 hours or less and have a minimum payout of $50, and maximum payout of $10,000. Players must deposit using the particular e-wallet to receive it as a payout option. Prepaid Debit Card: True Poker offers players a debit card that can be used to withdraw funds, but also can be used at point of sales. Players will receive the card within 1-2 weeks after requesting it. The card comes with a $25 start up fee and a $4.95 monthly fee. Once players receive the card, there will be no additional charges for payout requests to the card. There is a min payout of $50, and a max payout of $2,500 per transaction. Players will not be able to exceed $10,000 on their card balance. Checks: Checks can be requested at one per business week. The minimum check payout is $100, and the maximum payout is $2995. After the one free check per 30 days, additional checks will be $65 per check. Recent check requests have reached players in 1-2 weeks. Money Transfer: The fastest option for US players. Money transfers use Western Union and MoneyGram transfers to pay True Poker balances. Payouts take just a few days to process, but there are hefty fees. Depending on the amount requested, fees can range from $60 to $110 per transaction. The minimum payout is $50, and the max is $1500 per transaction. This is an unfortunate drawback of an otherwise up and coming network and room. True Poker pools players from seven other network sites, but still struggles to get above 1,000 real money players, even at peak hours. However, traffic has grown significantly over the past year as US players look for new networks and bonus opportunities. True Poker offers tons of poker games and variations. The normal games such as Hold Em’ and Pot Limit Omaha are offered along with others such as, Omaha Hi/Lo, Seven Card Stud, Stud Hi/Lo and Three Card Draw. The problem is most of these games have little to no traffic. No Limit Hold Em’ is only game with consistent action. Games regularly run from the micros to $2/$4. The most action, other than the twenty plus micro stakes games going, is $1/$2 No Limit, which has a vibrant player base. Limit Hold Em’ and Omaha action is basically nonexistent. Right now, the site is purely a home for No Limit Hold Em’ players. However, that may change as traffic continues to grow. True Poker has its fair share of weekly multi-table tournaments for a smaller room. The weekly flagship tournament is the $50k Weekly Guaranteed, which comes with a 200+15 buy-in and normally has a sizeable overlay. Smaller tournaments are offered throughout the week as well, including the 10k Weekly Guaranteed and the 7k Weekly Guaranteed Tournament. Many variations are offered as well, such as Bounty, Re-Buys, and Deep Stack Tournaments. Sit N’ Go action is available, but the traffic is extremely slow. There are many games and types, heads-up, 6-max, and more, but the room just does not have adequate traffic to support consistent SNG action. Though small, True Poker is a particularly soft room. True has a built in sportsbook and many of the other rooms on the network market to a largely to a sportsbook client base. These sports bettors run up their betting accounts and try their hand in the poker room, giving the Winning Poker Network a continuous supply of casual players. The cash games and tournaments are flooded with these types of players. The Bad Beat Jackpot also entices poor players who want strike it big and are willing to “gamble” bloating the pot size. True Poker truly has 24 hour support. Though they do not offer a phone number for assistance, the room has two live chat support lines that are available 24/7. One is for security, and the other is for general support, any issues can easily be resolved within minutes. The room also has three separate emails for support, one for cashouts, one for support, and one for security. All bases are covered, and support is quick to respond and courteous. True Poker offers players an excellent bonus program for such a small room. Players can earn two different types of points, Benefit Points and Player Points. Points are earned for every raked hand played or any real money tournament buy-in. The dealt method is still used to determine rake, so players will earn even more rewards. As players earn Benefit Points they will move up the monthly player levels and increase their Player Point production. Player Points can then be used at the Elite Benefits VIP Store. The store offers players luxury merchandise from the online store, tournament entries, or access to free cash. Players can keep track of their points and rewards by clicking the “Rewards” tab on the True Poker client. True Poker also has a fantastic welcome bonus for first time depositors, a 100% bonus up to $1,000! Not only that, new players will be eligible for multiple new depositor freerolls, giving them a chance to earn even more money risk free! True Poker has a long history in the online poker industry and is beginning to grow again on their new network. They are not a top online room yet, but they have increased their traffic rapidly over the past year. In addition, True Poker offers a vast VIP Program, deposit bonus, and industry leading payout speed. It is a great old-school poker room on a new up and coming network. Offers great non holdem games too. Traffic is slow at off peak times. Instadebit, NETeller, Person to Person Transaction, Person to Person Deposit, Credit Cards (Visa & Master Card), Click2Pay, UseMyBank.